This person will be responsible for representing the opinions of fellow class members to ASC, foster a relationship between Commuters and ASC, and serve on the ASC Campus Representatives Committee. 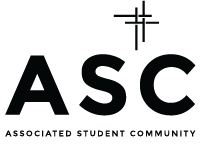 Duties of this committee include keeping the ASC Constitution, By-Laws and standing rules accurate with current job descriptions, school rules, the Community Life Fund, Academic Pursuit Fund, and moral and ethical codes under God. This person will be directly involved in all campus elections. have the desire to represent others’ opinions. Applicants must be full-time students ( minimum of 12 credit hours ) in good academic standing with George Fox University for the duration of the time they hold their position. — Work collaboratively with each of the other coordinators. Inquire at the ASC offices for stipend information. Responsible for the organization and upkeep of the FoxHole. This includes restocking the kitchen, assisting with scheduling and events, and ensuring the space is in working order. The Foxhole Manager should be detail oriented, have a positive attitude, and be skilled in communication with both students and faculty. Responsible for coordinating events for Commuters, both on and off campus.This will entail working closely with each of the other coordinators to create parties and events for Commuters. The Event Coordinator should be an excellent communicator, have experience planning events, and be able to see “the big picture” without losing track of details. Responsible for reaching out to Commuters while they are off campus, primarily facilitating programs that will enable Commuters to connect with one another while they’re not at George Fox. This may include working on Commuter family groups, ride shares, or other events in the surrounding area. The Outreach Coordinator should be a great communicator, outgoing, friendly, and a self-starter. Responsible for creating opportunities for Commuters to connect with students on-campus. The In-reach Coordinator’s job is to enable Commuters get involved on campus events, clubs, and organizations—but also to help them lead and engage with their passions while they’re at George Fox. The In-reach Coordinator should be excited about building bridges between on and off-campus students, flexible with scheduling, positive, and an excellent communicator.